Sometimes your life starts to run you instead of you running your life. I find myself rushing from one thing to the next, late for everything and ready for nothing. It’s sometimes impossible to take a step back when you are at home, in the middle of daily routine with your and other people’s expectations to live up to. Whether they are real or imaginary. We were in France last week, in Brittany, and for while we had a chance to step back from everyday life and relax. The weather wasn’t great every day but we were staying in a gîte, a self catering holiday home, run by our friends, Rob and Erika. They have seven gîtes on their property, Keranmeriet, and so many people come back year after year that we meet old friends when we go. 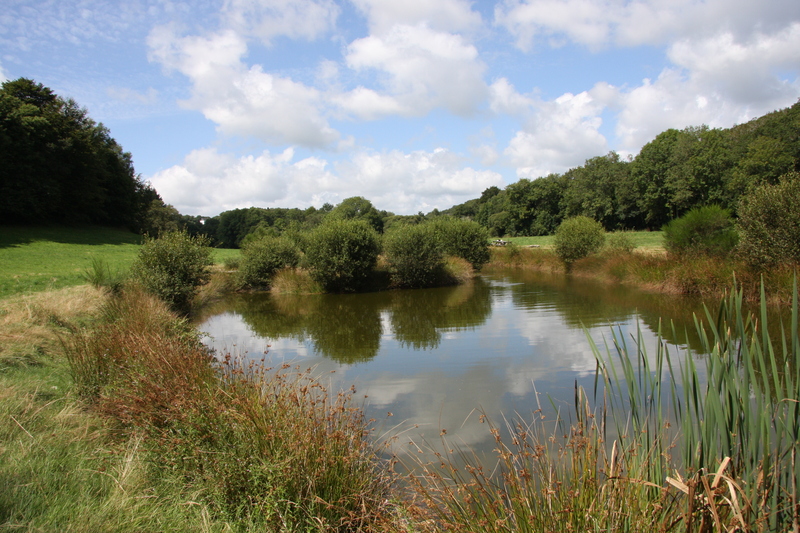 There are 100 acres to run around on with a trout pond, a stream, a huge meadow and woods, a pool, bikes and games to play. For three days I couldn’t convince the kids to leave the property, not even with the promise of ice cream. They were having too much fun with Rob and Erika’s kids and friends they had last seen three years ago when we were there then, interspersed with sessions of lying on the sofa reading their books (or watching cricket and looking at Facebook…). I met Erika in the UK when our eldest two were tiny babies. They moved out to France when Christian was two, nearly twelve years ago, and they now have three boys. They bought an old farm and converted the milking barn and dairy into holiday cottages and did all the renovations themselves. We have been coming here on and off ever since (it has been the subject of blog posts in the past) as we get a great holiday and catch up with friends at the same time. If you are looking for a holiday in Brittany I can’t recommend it enough. 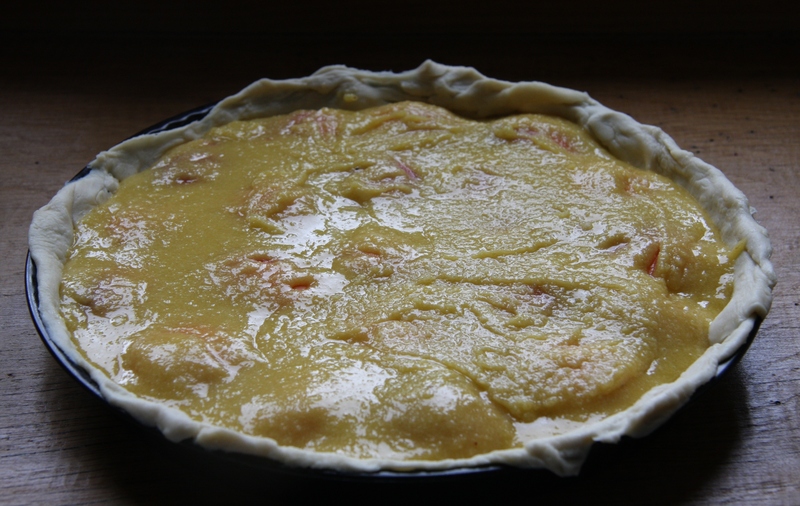 Set the oven to 180°C and line a tart tin with greaseproof paper. 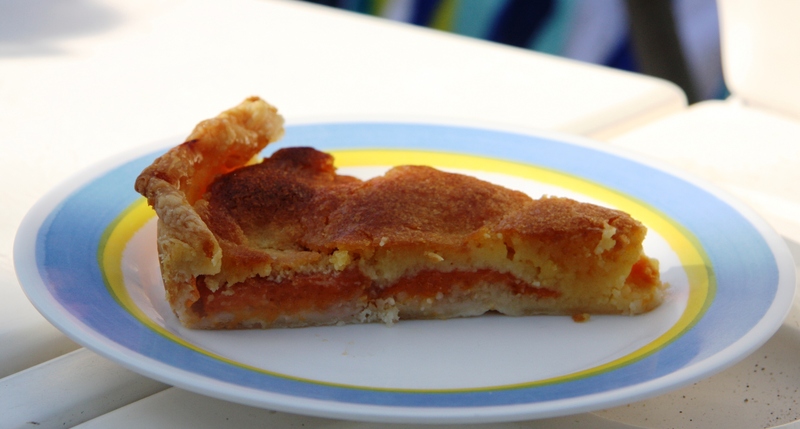 Scatter two tablespoons of brown sugar over the base of the tart tin. Roll out the flaky pastry and use it to line the tart tin. Scatter two tablespoons of couscous over the base of the pastry. 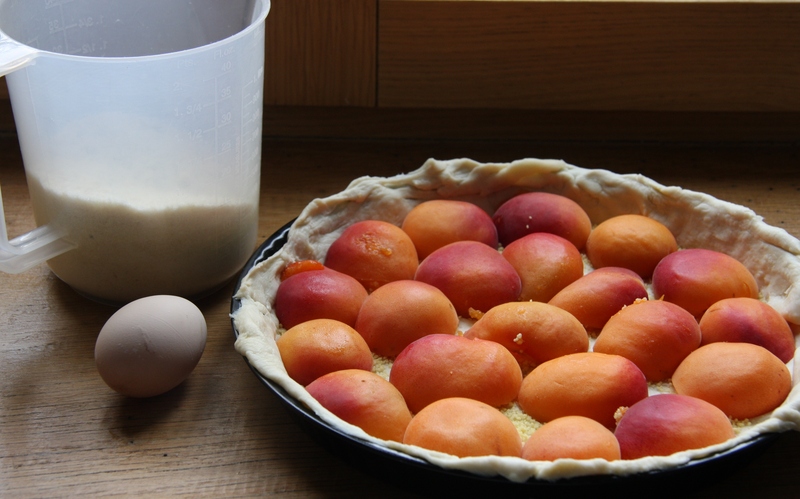 Halve the apricots and line the base with them. 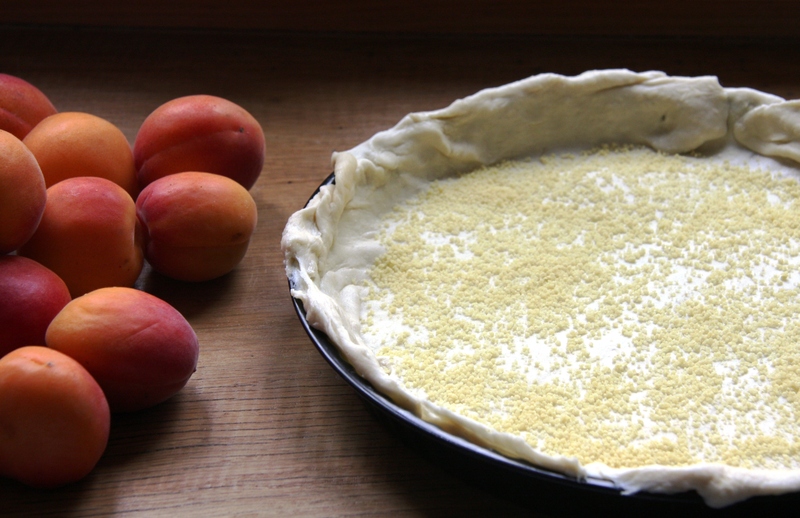 Mix the butter, egg, ground almonds and sugar and cover the tart with it. Bake for around 30-35 minutes, until well risen and browned. We had ours in the sun on Rob and Erika’s boat – thank you to them for such a great week and here’s to next year – hoping to see Bob and Shona with Niamh and Robbie, and Janine and her boys then too! I like that you bake even on holiday. The tart looks amazing. I know apricots can be really amazing but we don’t find really nice ones in Singapore. Sounds like the trip was a relaxed and needed break! the cottage sounds really wonderful. Thank you. Yes, it is a great place to be, even if the weather isn’t always great. It is very relaxing! That tarte looks like a slice of summer on a plate. 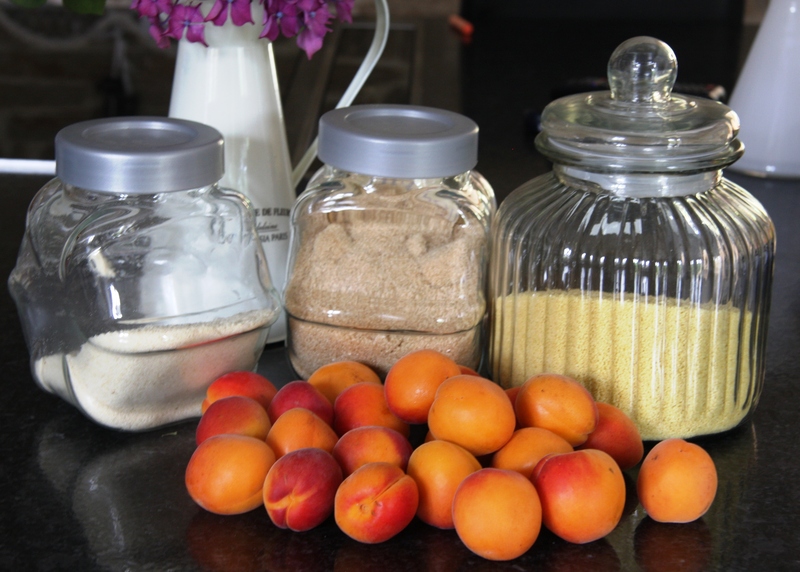 I love apricots. And your friends’ property sounds and looks amazing. Lots of hard work, but aren’t they lucky. They are very lucky that they have managed to find the life that they want, but you’re right, it has been (and continues to be) a lot of hard work. They definitely would never change it though! What a great post! And I love your tart. Perfection! 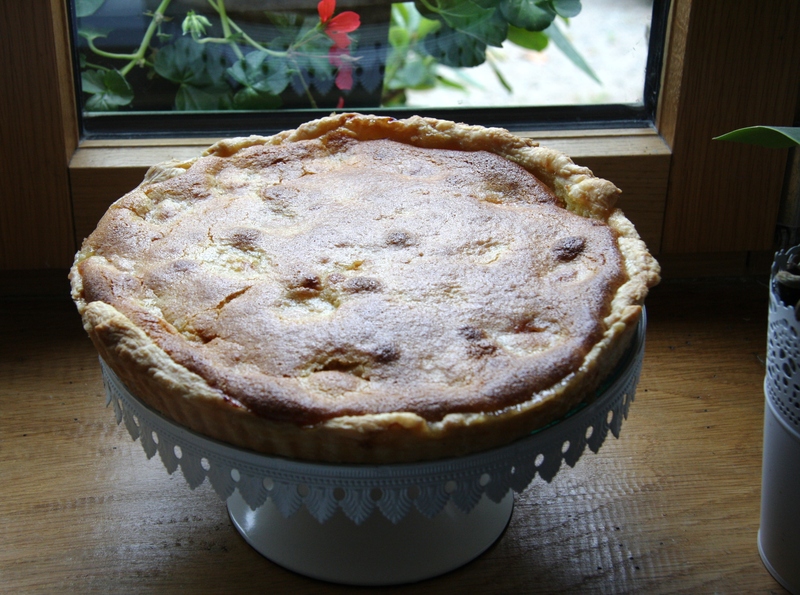 It was so good to read this blog, especially to see photos of the tart which looks so scrummy, well done. After reading this, me, a virgin blogger felt compelled to reply, AS oooooh soo excited! my husband, myself, our daughter, our son in law and our three year old grandaughter Scarlett, are all booked to spend two weeks at Keranmeriet in September. Thank you for this interesting preamble, we were already looking forward to the holiday but even more so now. Have a good summer. How lovely that you are going to Keranmeriet! I hope you all have a wonderful time and maybe I will read about it in a blog!